I’m continue to share my comments after COFES 2018, which took place in Scottsdale, AZ last week. Yesterday, I shared my thoughts about Decentralized PLM round table. Check more here. Today I want to talk about another round table discussion at COFES – Graph Databases: The Next Big Thing. The roundtable discussion moderated by Brad Holtz of Cyon Research and one of the founders of COFES. While graph technologies in variety of forms used by so many applications today (from e-commerce, social networks and advertising), I found group of people very much unaware about many aspects of graph modeling, graph databases and related technologies. My earlier experiments with Graphs are related to PLM development using relational databases. By nature PLM has many modeling relationships and I had to model it in Oracle and other databases engines. Of course, I remember about Objectivity, which was probably one of the first graph (object) database, but I never used it. I started to use graph technologies about 12-14 years ago where I first time got exposed to semantic web and related technologies such as RDF/OWL. Although, these technologies aren’t strictly graphs, it has lot to do about graphs and relationships in data. Since I’ve been asked about many aspects related to graph databases and technologies, I decided to share some of basic information about, graphs, to provide some links and share my earlier and current experience with graphs. Let me start with the link to one of articles I wrote about graph (and others NoSQL) databases. Check here – PLM and Data Management in 21st century. Among graph databases, there are other databases you can decide to use with you PLM projects. The comparison table was done 5 years ago. Although core comparison principles are still the same, the landscape and features supported by providers of specific database engines are vary. As such graphs are gained lot of improvement in scale and query semantics. Document databases included lot of structured data management capabilities. And RDBMS introduced many capabilities from NoSQL databases to keep up with competition. There is a difference between these two things – graph model and database. The first is a concept and theory how to treat graphs or any connected information. Graphs are very natural for engineering and manufacturing information. Check one of my previous articles – will graph db provide a perfect model for PLM. Graph can also present huge opportunity to traverse and link information in PDM, PLM and other engineering systems. In one of my previous companies, I used semantic graph storage (triple store) to collect information about data to future sort and visualize it. 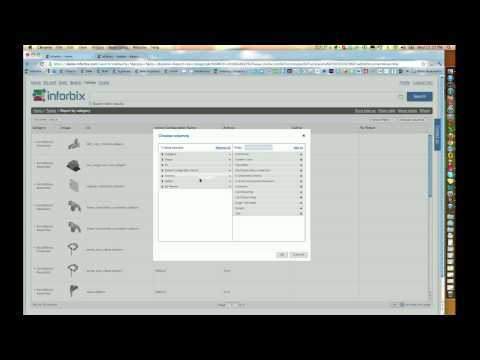 The following video from my old work at Inforbix can give you an idea how semantic graph can be used to traverse and consolidate data. Another way to look at graphs is to think how to collect intelligence by combining information from multiple graphs. At OpenBOM (disclaimer – I’m co-founder and CEO), we can make analysis of data in different product structures (BOMs) to help in decision support for example in choosing right parts. Check one of OpenBOM blog articles – BOM and Global product graph.